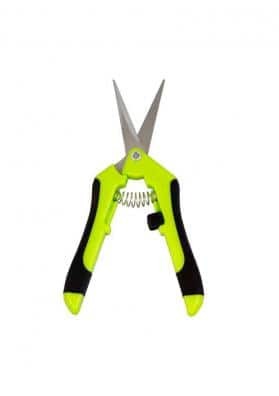 The Table Trimmer bud peeler is a device designed to facilitate the manicuring of buds. Table-shaped and equipped with 4 legs, it is very easy to assemble and use, has a very economical price and saves a lot of time in the complex task of manicuring. Table Trimmer is a bud peeler, shaped like a workbench, which will save a lot of time in the difficult task of manicuring, especially when it comes to large plants. Easy to handle and assemble, it is a peeler that makes it easy to do work that is often complex and, in addition to that, it has a very economical price. 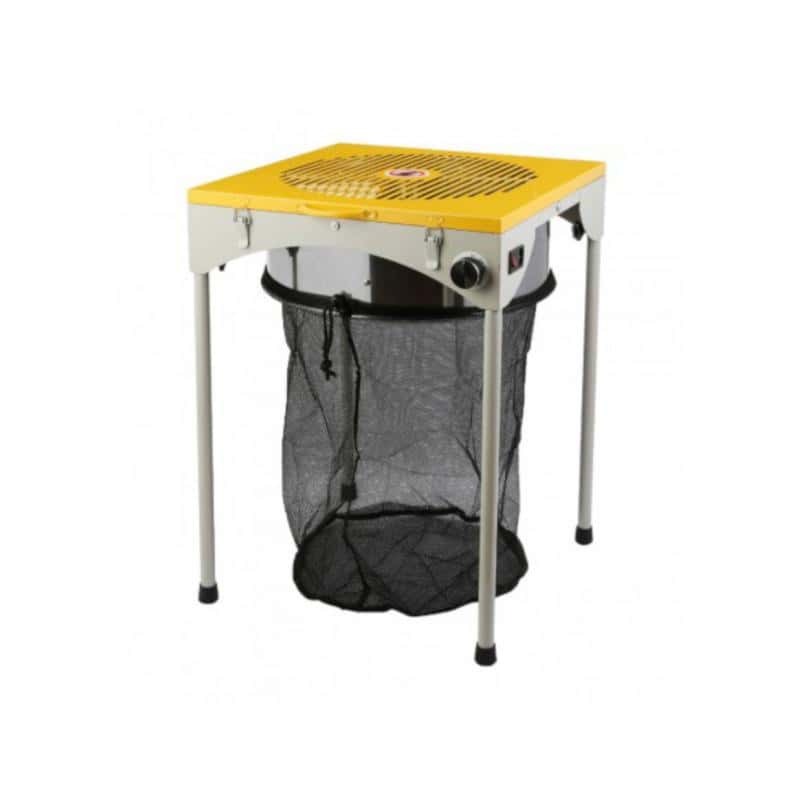 The Table Trimmer box includes, in addition to the peeler, spare blades and a bag to recolect the leaves. To use it, simply assemble its structure (it takes less than a couple of minutes) and plug it in. The movement of its blades creates a suction effect that attracts the leaves to its blades, cutting and separating the leaves from the rest of the plant. Table Trimmer has a speed selector that allows you to choose between 3 different speeds and thus achieve the ideal speed for the characteristics of the branch you are working on. To clean the bud with a Table Trimmer, take a branch from the harvested and dried plant and move it on the grid in a reciprocating motion, adding a lateral rotation motion on the grid. 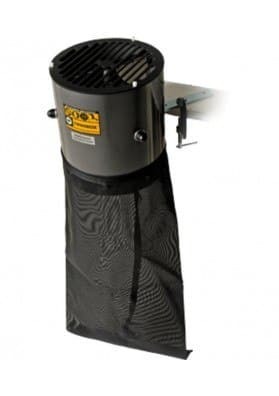 Table Trimmer includes different safety mechanisms, with auto shut-off in case of overheating (to prolong the life of the engine) and a shut-off system in case the safety grid is opened. 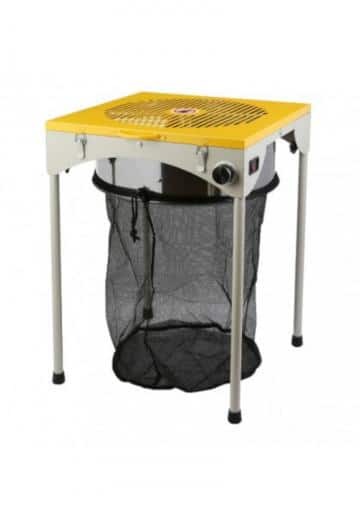 When using Table Trimmer, it is recommended to wear tight-fitting protective gloves and goggles. Never put your fingers or other body part through the grid or into the blades. No other objects may be placed through the grid. Please note that the manufacturer accepts no responsibility for accidents with Table Trimmer caused by misuse of the product or improper assembly of its parts. At the end of the work it is recommended to clean the blades with a laminated card so that they do not get scratched and to finish the cleaning with alcohol so the Table Trimmer remains as bright as the first day.